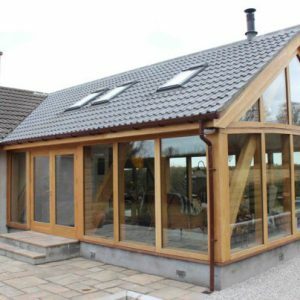 All Design designed and project managed the build of this green oak frame sun lounge in Aberdeenshire. The project extended the home, adding a sitting area with panoramic views. 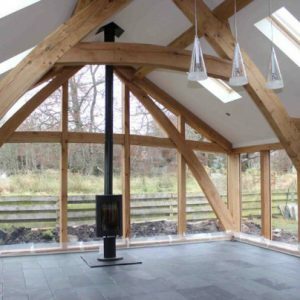 The exposed oak frame loads the room with character and the wood burning stove adds to the personality of the home and allows for extra comfort on colder days.